To the surprise and delight of many, the year 1977 found me preparing to graduate high school. I had been sentenced by the state of Tennessee in 1965 to endure twelve long years of education, of which I was about to complete. The word came down to us parolees that class rings were about to be ordered. The cost was 95 bucks each, and I was not about to waste that much hard-earned cash on a piece of jewelry. For the exact same price, I could buy either a new Winchester Model 94 or Marlin Model 336 lever action .30-30 at the local gun emporium. 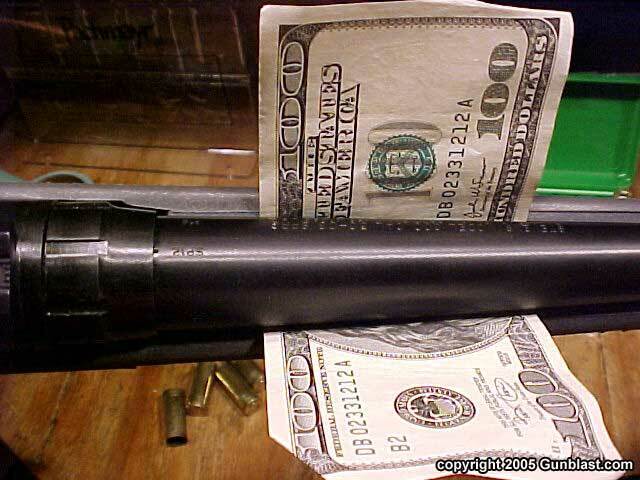 At that wonderful time in my life, every year before deer season the local gun sellers would offer the leverguns at just under a C-note, and that was the rifle of choice for local hunters, unless one was well-heeled. The folks with plenty of money went for a new bolt-action, usually a Remington BDL from Riley Hardware, and almost always chambered for the .30-06 cartridge. The rest of us chose the levergun, for it was much more affordable, and got the job done just fine. However, we all at that time wanted a bolt-action, for it was the badge of merit for a real hunter, or so it seemed. I lost the argument with my mom, and ended up spending the ninety-five dollars for the ring. I also later lost the ring. I should have bought the Winchester. Hunting guns cost a lot less back then, but wages were lower too, so I guess that today’s prices are not so bad on most hunting rifles. 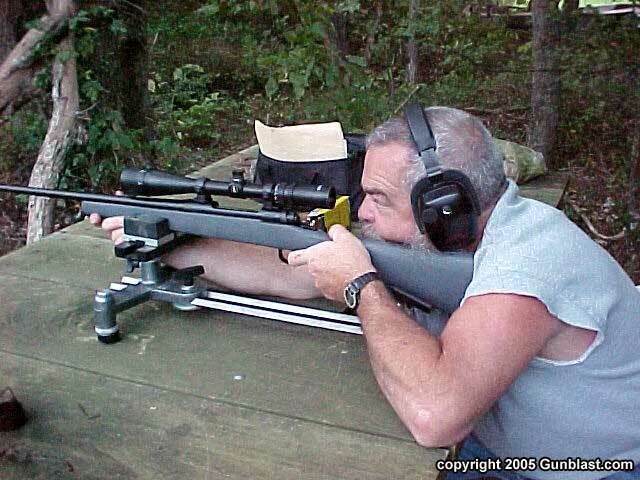 Having the rifles that one needs is not too difficult for most of us. Having the rifles that one wants can get expensive, however. Sometimes need has nothing to do with it, and I certainly have more than I need. While good bolt-action rifles can be pretty pricey today, there are a few that offer a lot of gun for the money, and the best of these is the subject of this article; the Stevens Model 200. 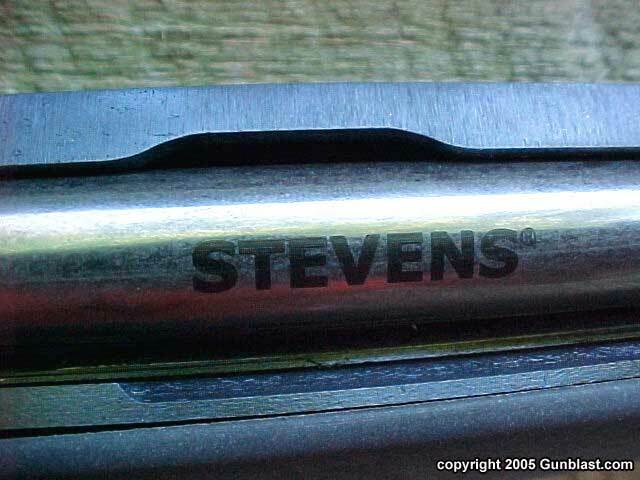 The Stevens brand has always offered good, solid, no-frills guns at a good price, and the Model 200 follows in that tradition. 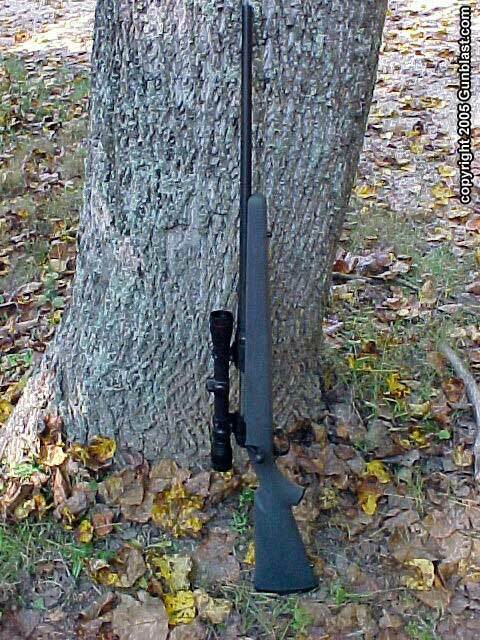 The rifle is produced by Savage Arms, and is for all intents and purposes a Savage 110 without the AccuTrigger. The suggested retail price is only $316. 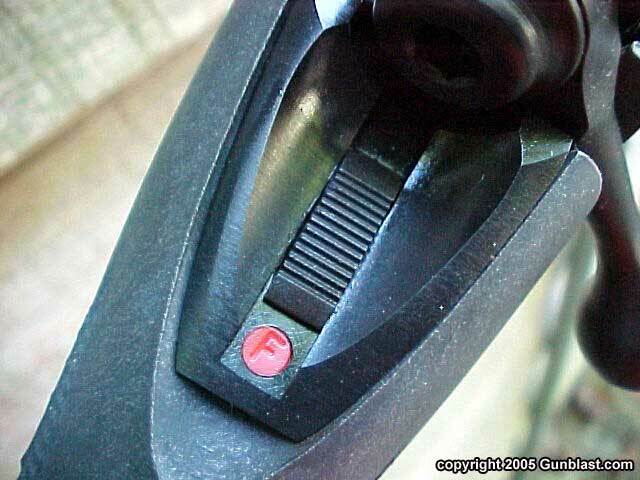 Now, besides the AccuTrigger you are giving up in exchange for a much lower price………nothing. The Stevens has everything needed in a good bolt-action hunting rifle. First of all, it has the time-tested Savage 110 action, that is known for reliability and safety. 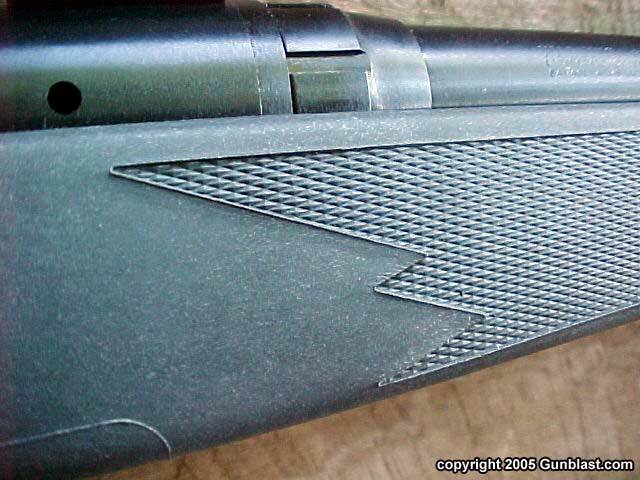 The blind magazine holds four rounds in standard chamberings and three in the magnum chamberings. The trigger is crisp, and the weight of pull on the sample rifle was just over four pounds. 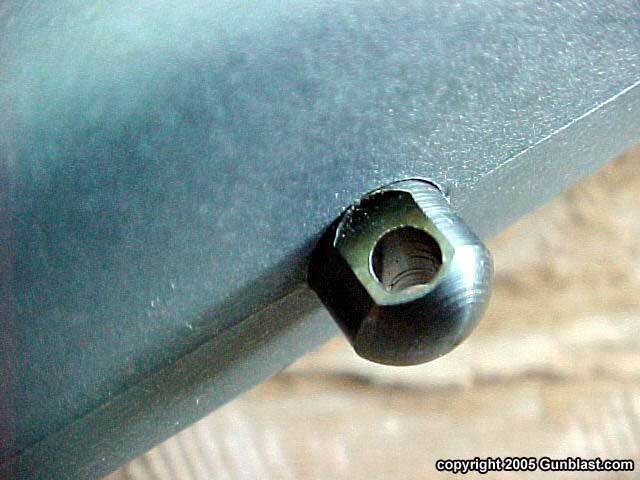 While it is not adjustable like the AccuTrigger, it is entirely adequate for a hunting rifle, and by backing out the screw that tensions the trigger spring, I was able to get the pull weight down to three pounds and six ounces. The safety is located on the upper tang, just as it should be. The barrel is of a medium-slim profile, and is twenty-two inches long on the sample .30-06 chambered rifle. The magnums wear a barrel that is two inches longer. 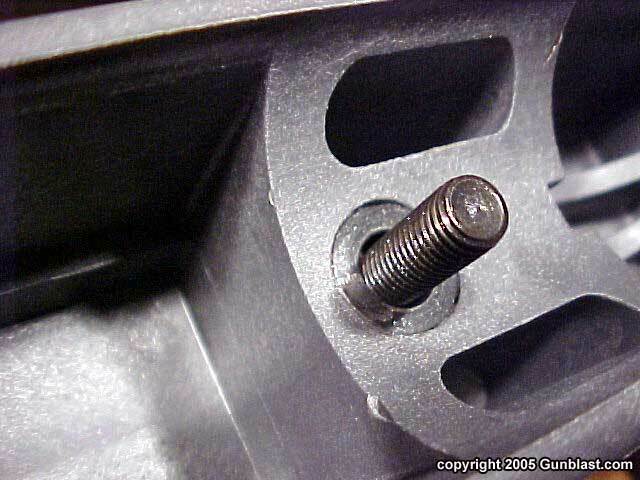 The Model 200 wears no open sights, but is drilled and tapped for scope bases. 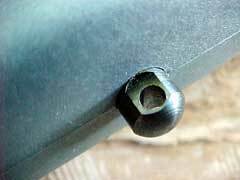 Unlike many hunting rifles costing three times the price, the Model 200 comes equipped with sling swivel studs, as should every hunting rifle. 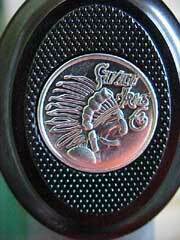 The gray synthetic stock has molded-in checkering for a positive grip, has the Savage Indian head logo on the pistol grip cap, and wears a rubber buttplate. 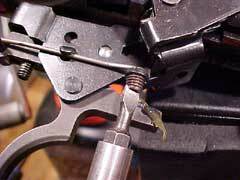 The bolt handle has a section of checkering on top to aid in a better grip. 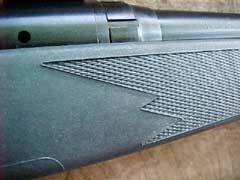 The barrel on the Model 200 is free-floated its entire length, and the barreled action is pillar bedded into the stock. The barreled action is evenly blued to a semi-matte finish, and shows no flaws or tool marks. The combination of the black metal and gray stock makes for a really good-looking rifle. The Stevens Model 200 that I received weighs just six pounds and seven ounces, and has a wonderful balance, being slightly muzzle heavy. This makes for a rifle that is light and easy to carry, but that points very well, without any hint of unsteadiness. 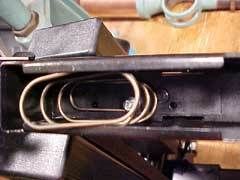 The balance point is right under the front receiver ring. Perfect. The action works very smoothly, and is quick for follow-up shots on game. Shooting the Model 200 for accuracy and function was at first frustrating, but was no fault of the rifle. I had mounted a Tasco Target scope to see how good the accuracy on the Stevens would be. The scope had proven reliable in the past, but the internal adjustments had gone haywire on me. I scrapped the piece of junk and mounted a 3x9 Simmons, which proved to be reliable. 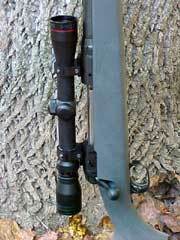 I wanted to shoot the Stevens with an inexpensive scope, realizing that most hunters would not mount an expensive scope on a budget-priced rifle. The Simmons worked okay, but it was obviously not the best of optics. 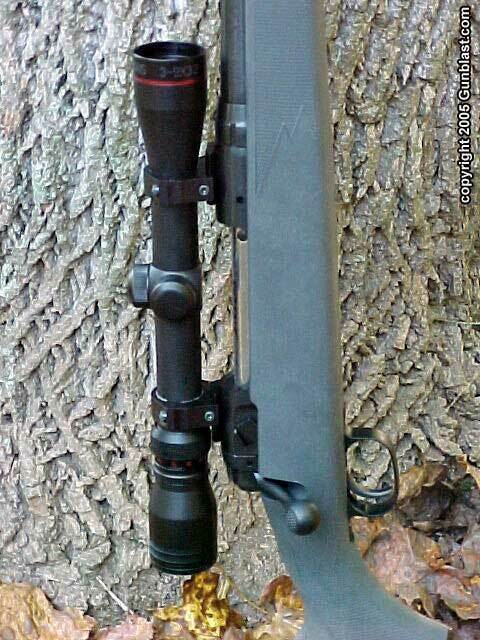 I would suggest that a hunter take the money saved on the rifle, and apply it towards a good glass like the Leupold VX-1, which can be found for just under 200 bucks. 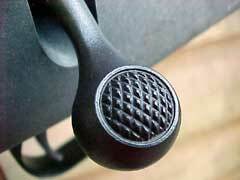 This would make for a dandy combination that would be reliable and inexpensive. I tried the Stevens with both factory and handloaded ammunition, and accuracy was very good, producing some groups of under one inch at one hundred yards. One type of ammunition that shows good promise is the new Managed Recoil ammo from Remington. They advertise that it delivers half the recoil, and I believe them. This .30-06 loaded with their 125 grain Managed Recoil load felt like shooting a .243 Winchester. The 125 grain bullet is designed to perform on deer-sized game, and I look forward to trying it out this season on whitetail. I am very pleased with the performance, accuracy, aesthetics, and value offered by the Stevens Model 200. With a suggested retail of only 316 bucks, I have seen these for sale for less than $270, which is an outstanding value. There are other low priced bolt-action rifles available, but none that offer the quality of the Stevens. In today’s dollars, this Stevens Model 200 cost less than did the ninety-five dollar leverguns of my youth. A hunter today can buy the Stevens, mount a good scope, and be set for a lifetime of hunting. 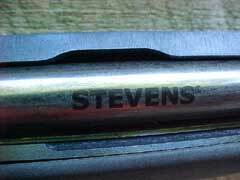 If you are in the market for a good, reliable hunting rifle, look closely at the Stevens Model 200. It is made in the USA, and I highly recommend it. Check out the entire line of Savage products at: www.savagearms.com. 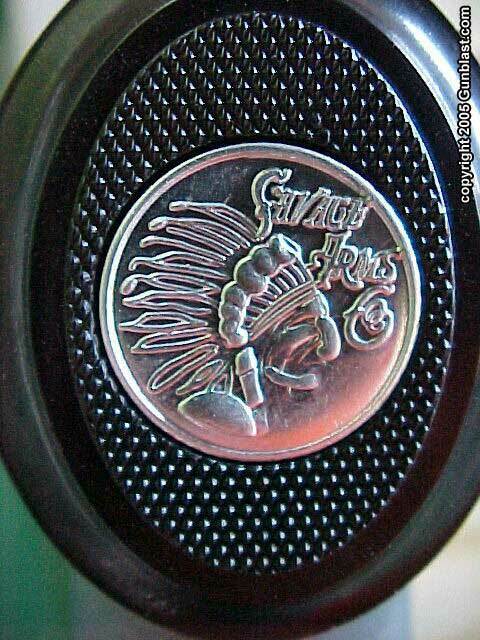 To To locate a Savage/Stevens dealer near you, click on the DEALER LOCATOR icon at: www.lipseys.com. 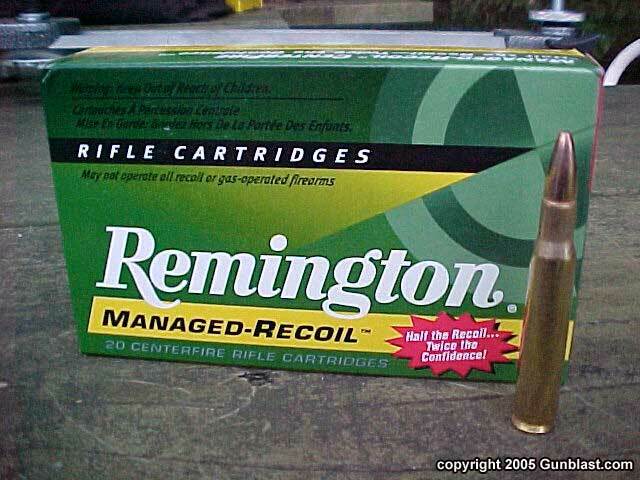 For more info on the Remington Managed recoil ammunition, go to: www.remington.com. The Stevens Model 200 features (top to bottom): sling swivel studs, tang-located safety equally suited for right-handed or left-handed shooters, nicely-fitted gray synthetic stock with molded-in checkering, top-knurled bolt handle, an attractive Savage Arms pistol grip cap, and the Stevens logo etched onto the exposed portion of the bolt. 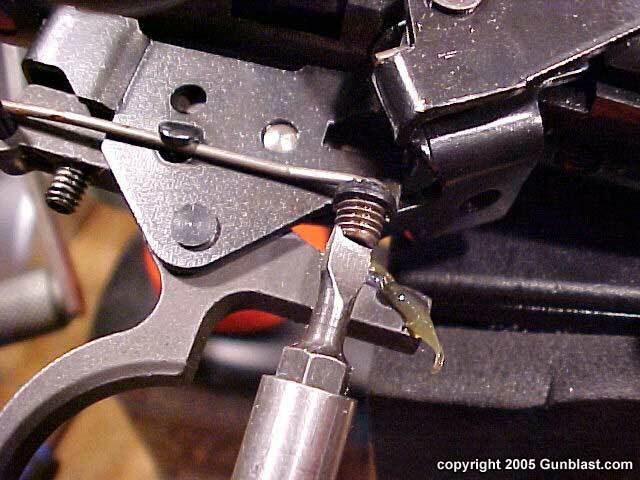 While the Stevens Model 200 does not include Savage's excellent AccuTrigger, turning this screw will lighten trigger pull a bit. 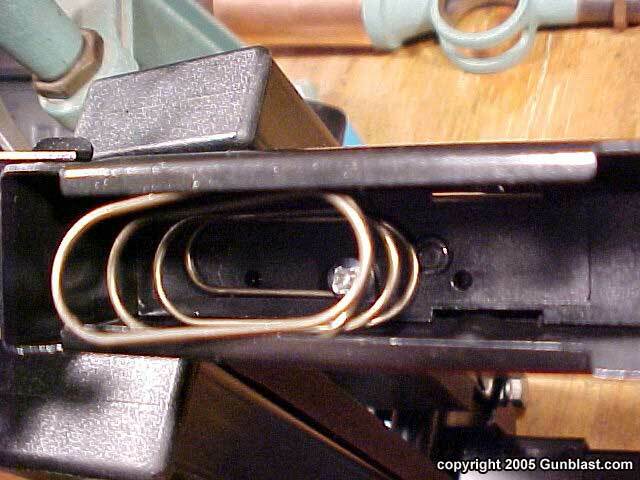 The magazine features a reliable coil spring. 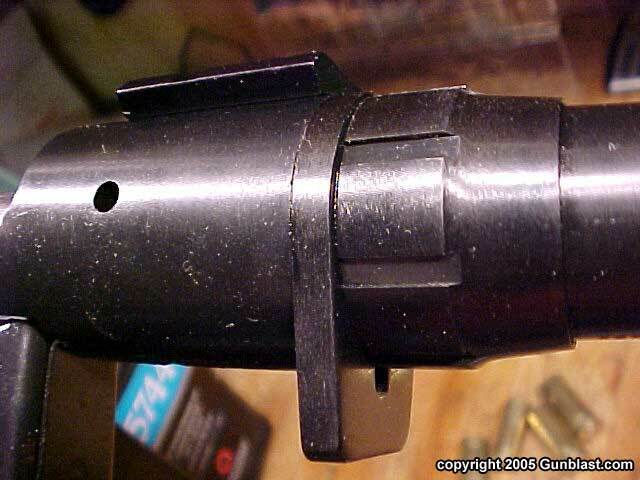 Substantial recoil lug is located just aft of the barrel collar. ...and the barrel is free-floated. 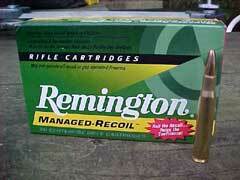 Remington's "Managed Recoil" ammo performed as advertised, and should be an excellent whitetail deer load. The Stevens Model 200 is a lot of rifle for a little money, and is highly recommended for hunters on a budget.